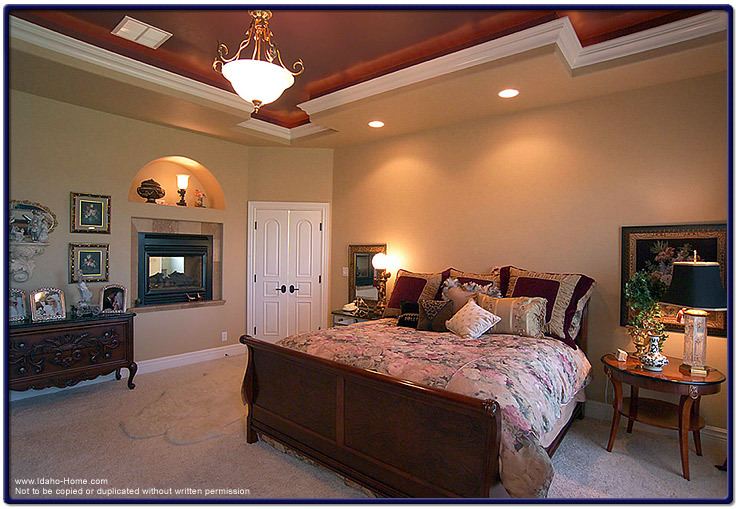 The image below is a large master bedroom with a two sided fireplace and high ceilings. The high ceilings are painted in a brown/burgundy with brownish beige walls This combination adds depth and richness to the room. The pictured fireplace is a gas fired unit, and is inserted two feet above the floor. The home was designed and built by Corey Schoenauer of One World Builders.